This list allows the configuration of subject matching expressions. When an expression matches it will perform the action specified for the expression. The expression type shows the type of expression the matching engine will use for the entered expression. 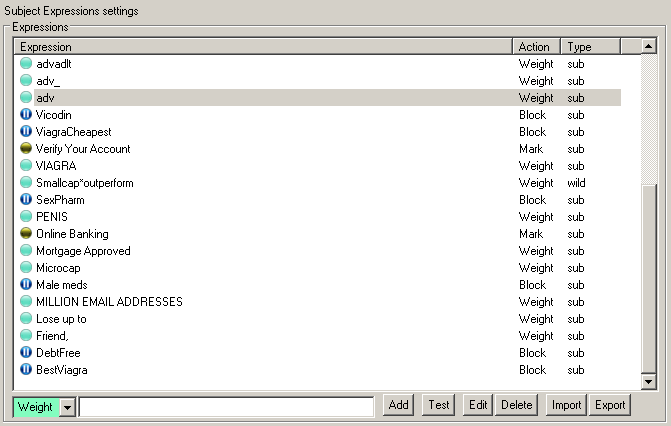 Expressions have a built in precedence: Allow > Delete > Block > Mark > Weight Remember that your SPAM Blocker/Action settings may globally preclude one or more of these actions.